Because who else wants to wear Dany’s “Beyond the Wall” outfit for Halloween? 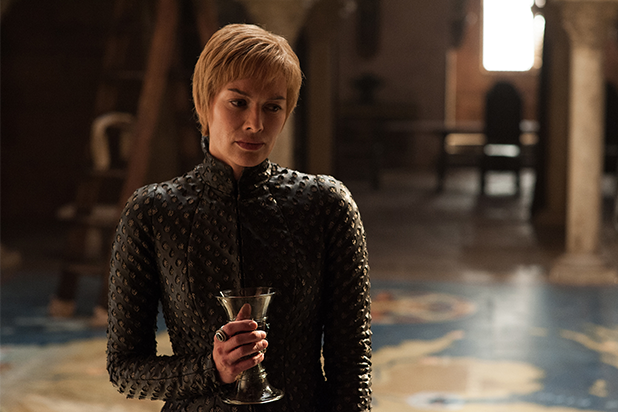 This season of "Game of Thrones" has been an emotional roller coaster. We can't wait for the finale on Sunday (and to be honest, we're not sure what we'll do while we wait for the last season), and we're biding time till then this weekend by basking in the glorious costuming from this season. Enjoy. Daenerys finally returned home at the beginning of the season, and gone from her wardrobe are the "Dothraki rags" her brother Viserys hated. We loved 'em, though. Dany is rocking Westeros fashion befit for a queen. And it only goes up from this structured dress. Even Arya, who has been traveling around since the end of Season 1, has fresh threads this season. Where did she get this luxurious cloak? Was the sole purpose of this outfit to impress Ed Sheeran? The women aren't the only ones with fresh threads this season. Just look at Jon's outfit here--that Direwolf detailing, though. Grey Worm has ditched his usual Unsullied gear for some Targaryen armor. Just look at that three-headed dragon sigil. Even Euron's horse is better dressed than I am. And imminent death can not stop Olenna from slaying her mourning clothes. 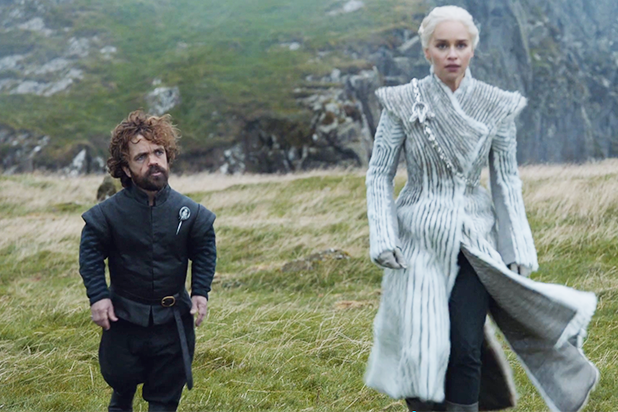 Let's just break this photo down: Dany's fur-lined dress completely matches Jon's outerwear. And he accessories are on point, and dragon-themed as usual. Even on a suicide squad zombie mission, these guys are coordinated. Will we be seeing these furs on the fall runways? Now that Theon is safe from Ramsay, he doesn't have to be Reek anymore, or wear his rags. This lace-up top is so chic right now, even outside of Westeros. Perhaps the most epic outfit in a seven seasons of "Game of Thrones" is Daenerys' snow outfit. She looks like a snow bunny heading to Vail for a ski trip. Except 10x better. We'll leave you with this image from the finale, of Jaime in the most badass armor a Lannister has probably ever worn, and Cersei, wearing probably the most badass shawl we've ever seen.